Thursday 28 July 2016. Photos and Videos. Today as the first of a tailored tour of Sri Lanka before starting on an organised tour on Sunday. This means I have a private guide for the next few days which I found very weird, I guess I like not being in the centre of someone’s attention while at religious sites so I can instead focus on the actual site and the people there. I guess I’ll get used to this. 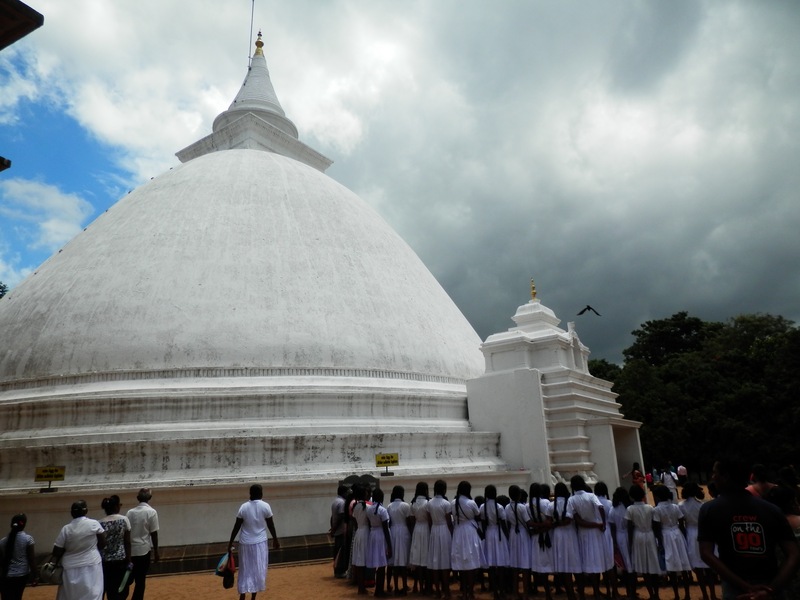 The first event today was to visit the Kelaniya Raja Maha Vihara or Kelaniya Temple. This is a Buddhist temple believed to have been the sight of the third and final visit of the Lord Buddha to Sri Lanka, eight years after he gained enlightenment. This makes it’s history as at least two century’s BC. The Stupa is believed to house a gem-studded throne on which the Buddha sat and preached. 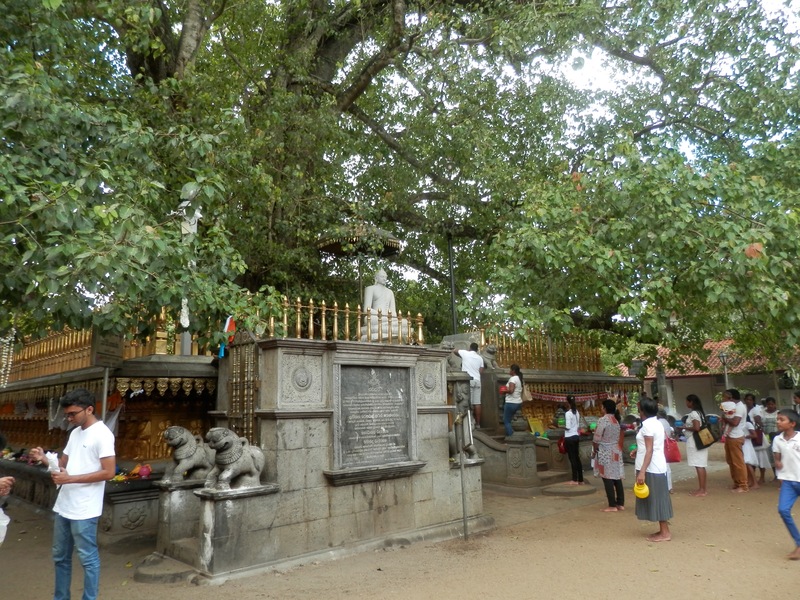 However all of the building are much more modern having been destroyed by the Dutch in the 16th century and rebuilt a number of times, nevertheless this is a very holy site for Sri Lanka Buddhists and I found many people paying their respects. 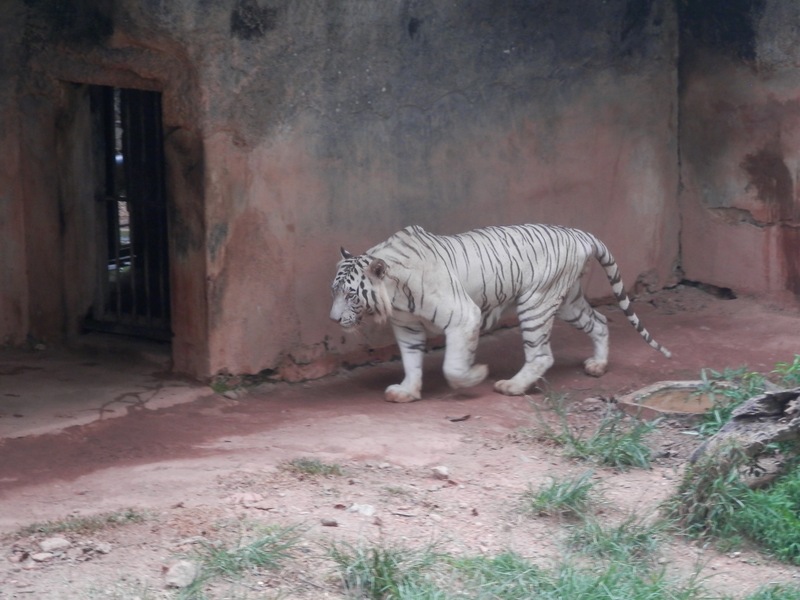 Next up was the Dehiwala Zoological Gardens, in many ways a typical zoo but one with many many excited children who treated every sight with wonder and joy. I noticed that they was a much higher price for foreigners to attend, or put another way a lot cheaper for the locals which is probably done to encourage their involvement. I was drawn to the white tiger and the lions, I guess I’d love to see them in the wild one day, as long as I’m not on the menu. The zoo looked well run and the animals well looked after with the exception of the elephants. I guess after spending a day feeding, walking and bathing them in Chiang Mai recently I would like to see them have much more freedom. During the day I got a chance to see a little of Colombo as well and it definitely appears to be a modern growing city. Lots of signs of Western and Chinese companies and investment. Apparently outside Colombo it is another world still trying to recover from the 30 year civil war and the poverty experienced by villagers. I expect I’ll see this a little closer over the coming days.